ISIS Camp In Baghouz Is Captured As U.S. 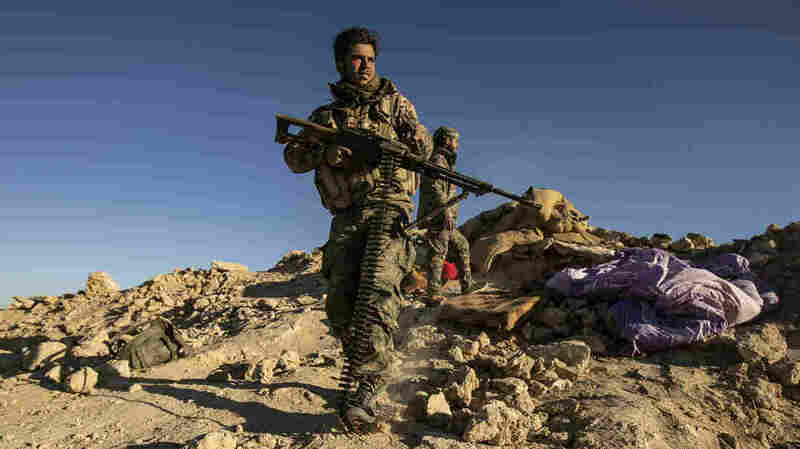 Allies Declare Progress In Syria "This is not a victory announcement," the U.S.-backed Syrian Democratic Forces say, even as they celebrate a breakthrough in a battle in Syria's Euphrates River Valley. Smoke rises in the Islamic State's last remaining position on the eastern banks of the Euphrates River in the Syrian village of Baghouz. The Syrian Democratic Forces say they have taken control of the village after weeks of offensives and surrenders by ISIS fighters. The U.S.-backed Syrian Democratic Forces are now in control of an ISIS encampment in Baghouz after weeks of operations and attacks on the village. But isolated gun battles are continuing in the area, seen as ISIS' last remaining redoubt. "This is not a victory announcement, but a significant progress in the fight against Daesh," said Mustafa Bali, the head of the SDF press office. In a tweet, he added, "Clashes are continuing as a group of ISIS terrorists who are confined into a tiny area still fight back." "This is the slow unraveling of Baghouz, the last ISIS holdout, whose capture will mark the end of the group's territory, which once spanned hundreds of miles across Iraq and Syria," NPR's Ruth Sherlock reports for our Newscast unit. 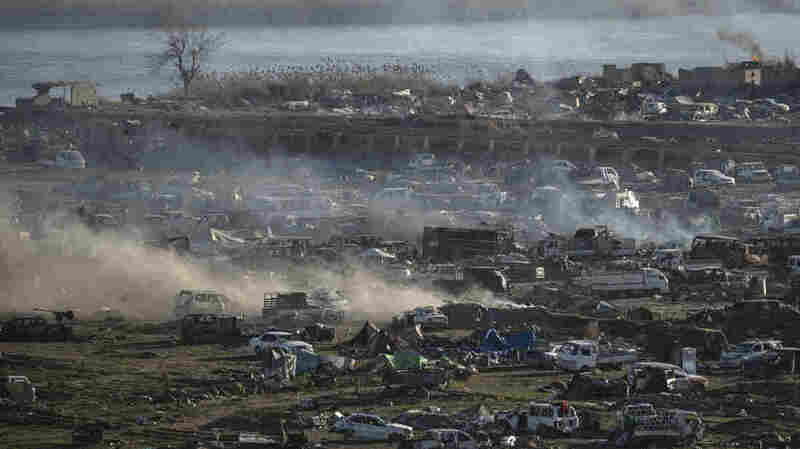 "More than 60,000 people have poured out of this area in the past two months. Most of them have been ISIS fighters, supporters, and their children, but there have also been ISIS victims – Yazidi children and women who were taken by the group from Iraq and used as slaves." Sherlock adds, "It's believed more hostages – Yazidis, westerners and others – are still trapped inside." Fighters with the U.S.-backed Syrian Democratic Forces hold a position on a hilltop overlooking the last ISIS enclave in the village of Baghouz. ISIS, which once produced elaborate propaganda and shocking videos of violence and abuse, has largely fallen silent as it has lost territory and oil-related revenue. But recently, the group's spokesman, Abu Hassan al-Muhajir, reacted to the mass shooting at two mosques in New Zealand, calling for the group's followers to take up a religious war. Muhajir, whose true identity remains unknown, also mocked the U.S. and President Trump — particularly the president's very public claim of victory over ISIS at the end of 2018. And he spoke about Baghdadi in a way that implies the leader is still alive.